The major occultation began after the death of Ali bin Muhammad Samari in 328 A.H. and the point of referral and general deputyship of His Eminence, the Master of the Age (a.s) reached the great jurists. 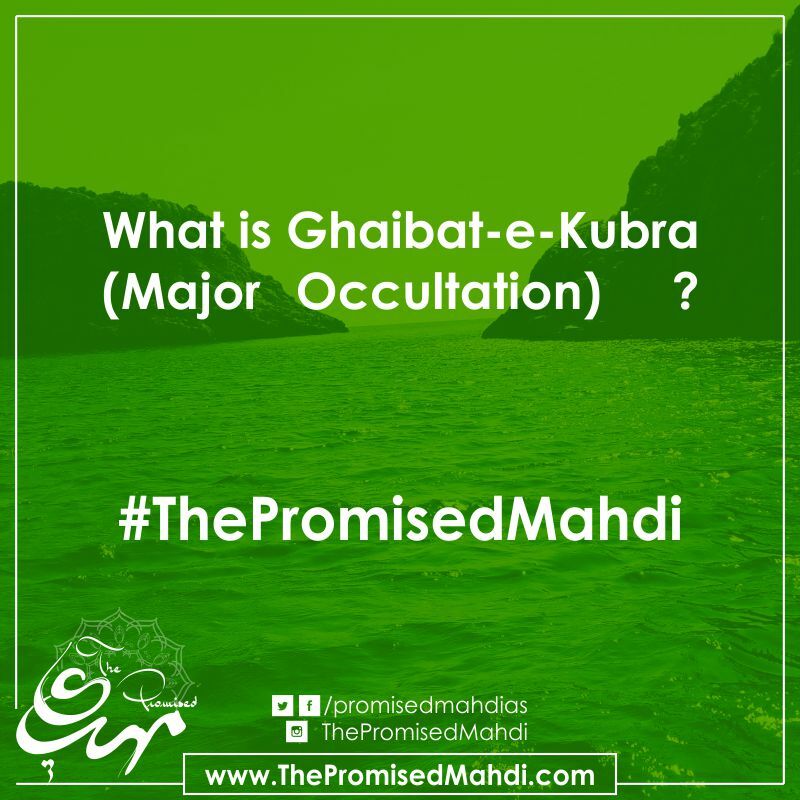 Throughout the period of the major occultation attention and written communications have come from His Eminence, to the prominent and knowledgeable Shia personalities. For example, that great personality sent a few letters to the great scholar and leader, Shaykh Mufeed from his side, which were received by Shaykh Mufeed, and we shall quote two of these letters in the coming posts. Similarly it has been proved by widely related reports that some pious and righteous Shia persons were blessed with the audience of His Eminence and its details shall be stated in the forthcoming posts. Ahmad bin Hilal Karkhi was of the companions of Imam Hasan Askari (a.s) and after the martyrdom of His Eminence the special deputyship of Muhammad bin Uthman from His Eminence, the Master of the Age (a.s) made him jealous. Hence he denied the deputyship of Muhammad. Shias asked him why he did not accept the commands of Muhammad bin Uthman while the Holy Imam has clearly made his obedience compulsory. Some of the claims of Karkhi and his written statements prove that he had departed from religion and denied some necessary principles of faith. But Hasan Sharii was a liar and a Dajjal (mischief-maker) and was formerly a companion of His Eminence, Imam Hadi (a.s) and Imam Hasan Askari (a.s) and later he became an apostate. He claimed to be the holder of the venerable position of the deputyship of His Eminence, Imam Mahdi (a.s). And he attributed those things to the Holy Imams did not befit them. Those great personalities dissociated themselves from him. Therefore the Shias have also sought aloofness from him and cursed him. His Eminence has also cursed him in one of his blessed epistles. Husain bin Mansur al-Hallaj was another liar, deviant and misguider from truth who claimed deputyship of His Eminence, the Awaited Imam (a.s). And he requested the prominent Shias to accept his deputyship. Therefore he sent a letter to Abu Sahl Nawbakhti and desired from him that he join him and promised to give him a lot of wealth. Hallaj was perplexed by this demand of Nawbakhti and this incident became public knowledge. It became a topic of great amusement while the deceit and deviation of Hallaj became clear for the people. Hallaj was shocked and hastily expelled the guest from his house because he had detected his fraud. Hallaj used to pose himself to be very pious and religious. He was seen in the mountains of Isfahan wearing tattered clothes and carrying a water-skin and a walking stick. Many gullible people used to be influenced by this fraud and it seemed to be an unnatural phenomenon and a miracle and they used to become such zealous disciple of his that they even sought his urine as means of cure. Hallaj is credited with having started many innovations. His activities were reported to the Abbaside Caliph, Muqtadir, who had him arrested and executed in 309 A.H.
Muhammad bin Ali Shalmaghani, popularly known as Ibne Abil Gharaqar was a moderate for a long time and had no sort of deviation. But after that due to jealousy towards Shaykh Abul Qasim Husain bin Ruh, the special deputy of His Eminence, Imam Mahdi (a.s), he became deviated and he left the religion of Ahle Bayt (a.s), aligning himself with some debased sects. Some of the principles of those sects were: No kind of worship act was obligatory and every kind of adultery between people of prohibited degree as well as others was allowed. Also, that every person of high social class should marry a spouse of a lower class so that he may induct effulgence into them. An epistle was issued by His Eminence, the Master of the Age, containing curse on Shalmaghani and stating his dissociation from him. When the innovations of Shalmaghani became known to all, the ruler of that time had him executed in Baghdad in 323 A.H. Some of the above false claimants and Dajjals of the period of minor occultation came into being due to their jealousy towards the special deputyship of the Imam of the time, and considered themselves to be deprived of that exalted position and that’s why they resorted to such fraudulent claims.